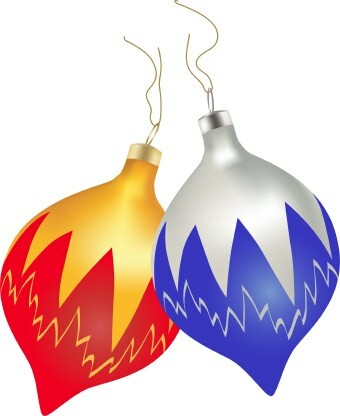 Wishing you all at Stanley Rangers a very happy Christmas and a peaceful New Year. 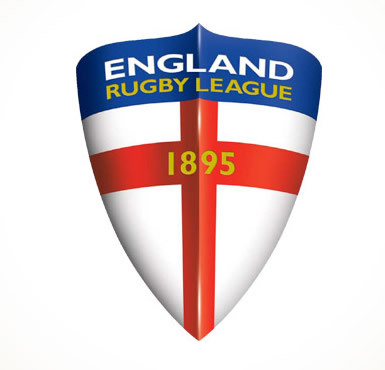 Congratulations go to Stanley Rangers youth players who have been named in the England RL Academy and Youth squads for 2014. England have named two of their strongest ever Youth and Academy squads for 2014, a year which features internationals against France and Wales and climaxes with a Test series against the Australian High Schools. Full details of the 2014 fixtures have yet to be confirmed but England Youth will play a two-match Test series in France at Easter, as well as matches against Wales during the year, whilst the eagerly-anticipated series between England Academy and the Australian High Schools will take place in December. The 2014 season will see an increase of players involved with a 36-man training squad selected for the England Academy (under-18s) and a 35-man squad for the Youth (under-16s) squad. 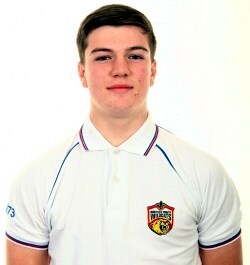 In the England Academy 36-man squad Max Jowitt (Wakefield Trinity Wildcats, Stanley Rangers) has been selected, whilst in the England Youth 35-man squad Lewis Heckford (Wigan Warriors, Stanley Rangers) Matty English (Huddersfield Giants, Stanley Rangers) and Morgan Smith (Leeds Rhinos, Stanley Rangers) have been named. Max has also just signed a full-time contract with Wakefield Trinity Wildcats and has received the No. 25 shirt in the squad. This is a great opportunity for these young players and we wish them lots of luck in their training for the England squads. Well done! Hatton's NCL for the season 2014 has now been decided. With regards to Division One, there will be three teams relegated to Division Two - Bradford Dudley Hill, Stanley Rangers and Waterhead. East Leeds, Hunslet Warriors and Wigan St Judes have been promoted to the Premier Division. This means that Stanley Rangers will join Askam, Elland, Leigh East, Oldham St Annes, Ovenden, Stanningley, Castleford Panthers, Bradford Dudley Hill and Waterhead, with Kells and Pilkington Recs moving up from Division Three. Missed out on a ticket for the Rugby League World Cup final between Australia and New Zealand on Saturday? Don't worry, you can get along to the clubhouse and enjoy all the big match action in the comfort of the function room. The club will be open and the kick off is at 2.30pm. On Friday 6th December the rugby club will be hosting a Poker Night, £20 a seat. For information and tickets please get in touch with Jacky Hogan; Richard Cattley; Liam Crawley; Daniel Grice or Gareth Rawlinson. compere will be comedian Pete Emmett and the club are delighted to announce that the guest speakers will be Gareth Ellis and Jay Pitts. The catering will be provided by The Wakefield Pie Shop. Tickets are £15 and if you would like to go contact the club or speak to Jacky Hogan. 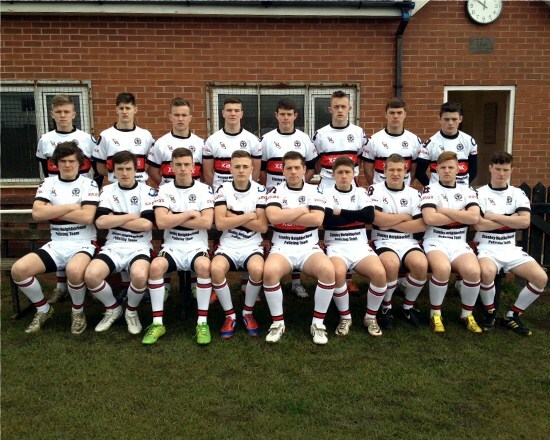 The Under 16s have had a great run in the BARLA Yorkshire Youth Cup, reaching the semi finals. 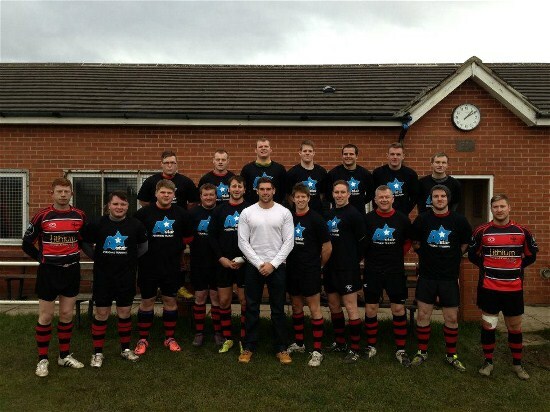 On Sunday 17th November they played against Skirlaugh Bulls but lost by 4-24. The final of the Under 16s Cup will now be Oulton Raiders versus Skirlaugh Bulls. The Under 16s have now begun their fixtures in the Yorkshire Youth League with a great win over Drighlington 74-0 which has taken them to the top of the table for the Premier Division. Earlier this month I put out an appeal for any information about this team photo of Stanley Rangers open age taken in the 1980s. Many thanks go to eagle-eyed Mr. Peter Ashton who not only provided the team names of this photo and the year - 1985 - but also filled in more gaps in the History page. Thanks go to Peter and to all of you who have helped with the History section of the website. If you have any other team photos you would like to share please email them to stanleyrangers@aol.com with any details you have. Friday evening saw the annual Open Age presentation evening at the clubhouse. In a packed function room, the coaches of the 1st and 2nd teams gave their season summaries and then handed out their awards to the players. 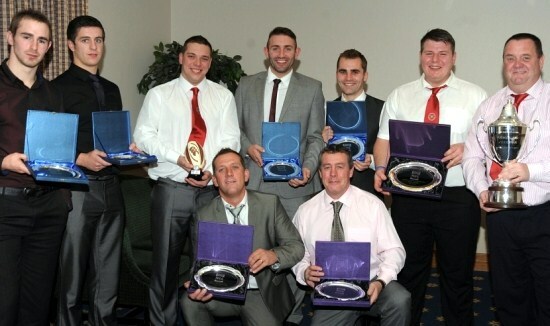 Player of the Year for the 1st team was Richard Cattley and for the 2nd team it was Chris Higgs. Congratulations and commiserations after this weekend's BARLA Yorkshire Youth and Junior Cup 3rd round matches. The Under 16s had a fine win over Dewsbury Moor 42-0 but the Under 14s lost out to Hunslet Warriors in a competitive game 12-24. The Under 14s have had a fine run to reach the 3rd round. The Under 16s are now through to the fourth round and will play away at Skirlaugh Bulls in the semi final on Sunday 17th November. In the other semi final, Beverley Braves play Oulton Raiders. Good luck to our lads! The Open Age Presentation evening will take place this Friday - 8th November - at the clubhouse, starting at 7.30pm. Stanley Sports and Social Club will be open for all England games in the upcoming World Cup. Coverage startED with the Australia v England match at the Millenium Stadium, Cardiff at 2pm, kick off at 2.30pm. On the 2nd November it was England v Ireland, on the 9th November England v Fiji, and then the quarter, semi and final will be on consecutive weekends. The World Cup final is on 30th November at Old Trafford, Manchester. All matches kick off at 2.30pm and the clubhouse will be open at 1.30pm. Come along and enjoy the matches in a great atmosphere. 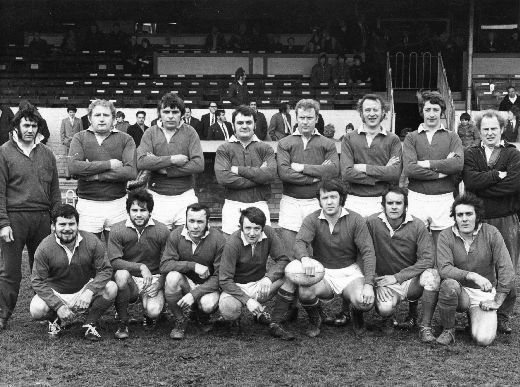 This photo shows a Stanley Rangers team playing possibly in 1985 and is also included in the History page. If you know the date of this photo and the names of any of the players please email stanleyrangers@aol.com with any information. Why not also take a look at the photos in the History of the club page and see if you can add any more information. The Under 16s to the Under 12s teams have been in action over the last two weekends in the opening rounds of the BARLA Yorkshire Youth Cup. In Round 1, the Under 12s lost 18-0 to East Leeds; the Under 13s had a close win against Hunslet Wrriors 22-20; the Under 14s beat local neighbours Eastmoor Dragons 32-16; the Under 15s just lost out to Drighlington 22-26 and the Under 16s had a big win over Myton Warriors 54-0. The 2nd round was played last weekend - the 27th October - and the Under 13s beat Dewsbury Moor 16-10; the Under 14s beat Shaw Cross Sharks and the Under 16s beat Hunslet Warriors 66-6. The Round 3 draw has been made and is as follows - the Under 16s will be away at Dewsbury Moor and the Under 14s are at home to Hunslet Warriors. The matches are to be played on Sunday 3rd November. Stanley took their run of wins to three when they beat Dewsbury Celtic 30-18 to move themselves up to third from bottom. It will now be for the league to decide on the moves up and down the divisions. The team have done themselves proud in the last two weeks with a home win against Saddleworth Rangers 40-16 and then a trip to middle-of-the-table Dewsbury Celtic for a great away win 30-18. The team would like to thank everyone for their support in a tough but enjoyable season. 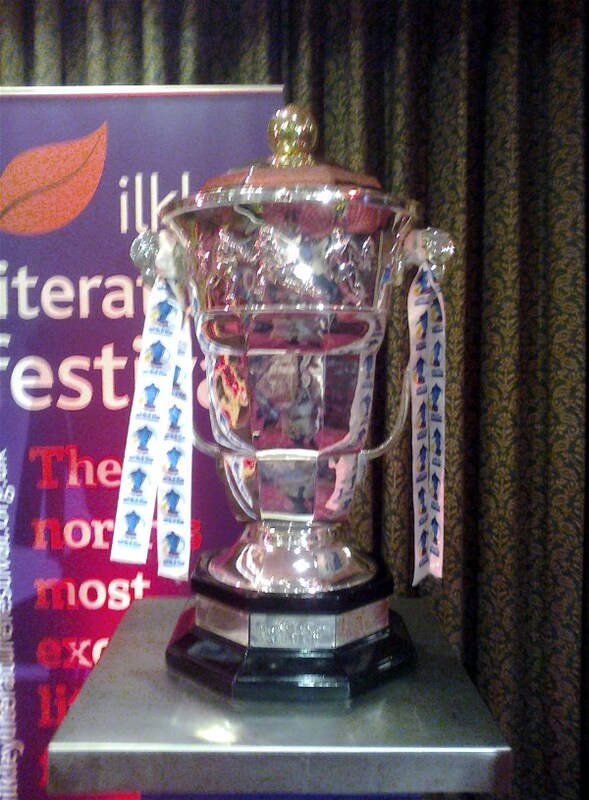 The Rugby League World Cup has been on tour prior to the start of the competition and was spotted at Ilkley Literature Festival for a talk by Ray French, David Hinchcliffe, James Jones-Buchanan called "In League with Literature" with Scratching Shed Publishing’s Phil Caplan and Tony Hannan. This was an hour of pure rugby league gold - witty, wise, informative and passionate. Rugby league was also represented at an afternoon at the Wakefield Lit Fest in an afternoon of readings and discussion at Wakefield’s Labour Club including readings from ‘Rugby’s Class War’ in which the schism between League and Union was explored. Readers included David Hinchliffe and special guests. After a week off, this Saturday sees Stanley Rangers' last home game of the season when they take on Saddleworth Rangers. The kick off is at 2.30pm so please come along and give the boys your support for the last home fixture. Over 160 teams will go in to draw on Tuesday 8th October for the BARLA Yorkshire Youth and Junior Cups, which get underway on Sunday 20 October, with the finals scheduled for Saturday 7th and Sunday 8th December which BARLA announcing today, will once again will be played at the Bigfellas Stadium, Post Office Road, the home of Featherstone Rovers. BARLA Youth and Junior Chair Alan Booth said that he was delighted with the response of the cllubs which showed how popular the competition is. All our junior and youth teams are involved and the full details of the draw are as follows: the Under 12s have been drawn at home against East Leeds; the Undeer 13s are away at Hunslet Warriors; the Under 14s play close neighbours Eastmoor Dragons at home; the Under 15s travel to Drighlington and the Under 16s are away to Myton Warriors. 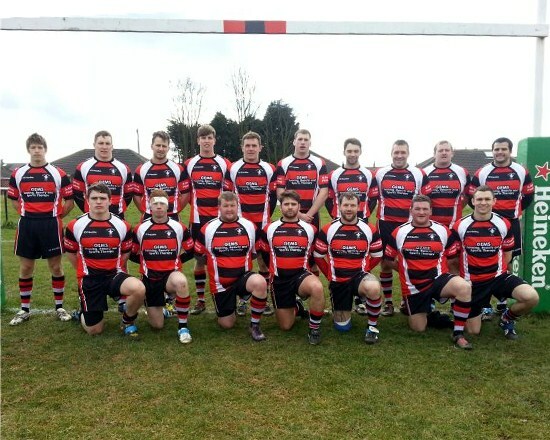 A great win for Stanley Rangers when they beat Bradford Dudley Hill 36-28 at the weekend. Rangers points came from Joel Marsh (2, Billy Griffiths, Bingham, Chris Grice and Jams Senkiw. Goals were kicked by Danny Grice (5) and Billy Griffiths. The Man Of the Match was awarded to Joel Marsh. With the Grand Final of Wigan v Warrington being held on October 5th, Rangers next fixture is on the 12th October when they will be at home to Saddleworth Rangers, kick off 2.30pm. The rugby club will be hosting a Macmillan Coffee evening on Friday 27th September 6pm - 7.30pm. Everyone is welcome to attend and support this excellent cause. Man of the Match was James Senkiw. This weekend the 1st team host Bradford Dudley Hill 2.30pm KO. This Saturday, Stanley Rangers are at home to East Leeds, currently at the top of Division One. Kick off is at 2.30pm and your support is greatly appreciated for what promises to be a challenging encounter. Stanley Rangers registered their third win of the season and possibly there best performance of the season as well with a 40-16 win over Cumbrians Millom. Rangers raced away to a 30-0 lead at half time and although Millom registered three tries and two goals, Rangers built on their lead to complete an emphatic win. Stanley's points came from a hat trick from Man of the Match Paul Hughes, Mufaro Mvududu crossed twice with slngle tries from Danny Grice and Jacky Hogan. 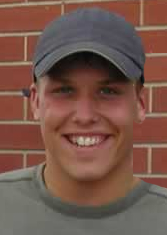 Danny Grice also kicked six goals. There is no fixture for this coming weekend. After a two-week break, the 1st team are back in action this weekend with a home fixture against Millom, currently lying 3 places above them in Division One. Kick off is at 2.30pm and your support is really appreciated so come along and give the lads a cheer. Interesting fact from the Conference League stats section is that Stanley have two players in the top thirty try scorers. Joel Marsh is 8th with 13 tries and Richard Cattley is 18th with 10 tries. The A team were in action at the weekend and had an excellent win over Shaw Cross Sharks A 32-16. This has moved the team into fifth place in the Division Two table. This weekend the A team are away at first place Holderness Vikings. After a summer break, the junior teams are back in action for the autumn. On Saturday 7th September, the Under 13s are at home to Featherstone Lions; the Under 12s are away at Shaw Cross Sharks; the Under 11s are at home to Wyke and the Under 10s are also at home to Dewsbury Celtic Shamrock. Then on Sunday 8th September, the Under 16s are at home to Shaw Cross Sharks; the Under 15s are away to West Hull; the Under 14s are at home to Birstall Victoria; the Under 9s are away at Drighlington; the Under 8s are also away at Dewsbury Celtic and the Under 7s are at home to Stanningley. Now is the time of year to be looking at some great bargains in our e-store and there is a full list in this week's offers on our e-store page. There's everything from Moda and Pelle to Laura Ashley to Ticket Master. Remember that everything you buy through the links on this page mean donations for the club as well as discounts for you. Fifth-place Rochdale Mayfield came to Rangers and were too strong for the home side going away 44-10 winners. Stanley's points came from two tries by Mufaroo Mvududu and a conversion by Danny Grice. There is no fixture this weekend due to the Challenge Cup Final. The Under 15s had a splendid 52-6 win over a determined Upton Under 15s side in the Final of the Wakefield & District Cup at the Rapid Solicitors Stadium on the 14th August. Tries came from Harry Morland, Sam Blake, Matty English, a hat trick for Liam Senior, Billy Hayes, Lewis Heckford and Jordan Kershaw. Six of the ten tries were converted by Lewis Heckford and George Lord. Liam Senior picked up the Man of the Match award for Stanley. This was a fantastic performance and achievement from the team who have won this coveted cup at every competitive age level since starting to compete for it. On the 9th August the Under 12s faced local rivals Normanton Knights in the Wakefield & District Under 12s Cup. The final result was a win for the Knights 24-18. The Under 12s have had a great season reaching the top of their division. Stanley Rangers took on third place Hunslet Warriors and nearly caused another upset when they just lost by 2 points, having led 16-6 at half time. Rangers scorers were Sam Rothery, James Senkiw, Chris Grice and Paul Hughes with four goals kicked by Danny Grice. Rangers are at home again this weekend against fifth-place Rochdale Mayfield. The Open Age A team had an excellent win over Beeston Broncos 58-14 and travel to Holderness Vikings, currently third in Group 2, this weekend. The Yorkshire Men's Groups 1 and 2 and the Entry Division campaign have been extended from Saturday 7 September to Saturday 22 September. The closing date coincides with the YML's Premier Division play-off final. Stanley Rangers came away from their match at Eccles with a 24-all draw. At half time it was 10-all and in the second half Eccles took the lead but Rangers fought back in the last quarter and tries from Liam Crawley, Joel Marsh and James Senkiw were unanswered by the home side. Rangers other points came from Joel Marsh, Sam Rothery and two goals by Billy Griffiths. This weekend, Rangers are at home in an intriguing match against Hunslet Warriors. Hunslet are currently in third place in the table with Milford Marlins and Rochdale Mayfield just one point below them and seeking promotion. Kick off is at 2.30pm so come along and give the team all your support. Congratulations go to Stanley Rangers Under 12s who won the final of the Gala at Lock Lane at the weekend, beating Castleford Panters U12s in the final game. After last week's great win over Milford Marlins, Rangers were away to league leaders Wigan St Judes and nearlly caused a second upset, only losing in the last minutes by two points, 28-30. Rangers were 18-all at half time thanks to tries by Richard Cattley (2) and Joel Lord, improved by Sam Rothery but Wigan moved ahead in the second half to lead 30-18 on the hour. However, tries by Chris Grice and Adam Curtis along with two goals by Craig Williamson saw Rangers edge ever closer. In a frantic finish it was Wigan who held on for a close win. This weekend, Rangers are again on their travels to Eccles. The A team will be also in action at home to Elland A. The Wakefield ARL's Junior Finals will be staged at the Rapid Solicitors Stadium - home of the Wakefield Trinity Wildcats - on successive Wednesdays next month and three of our junior teams are in action. On Wednesday 7th August, the Under 12s final will be at 5.00pm and will feature Stanley Rangers Under 12s v Normanton Knights Under 12s. Later that evening the Under 14s will play Eastmoor Dragon Under 14s, kick off 7.30pm. The following Wednesday, 14th August, the Under 15s will play Upton Under 15s, kicking off at 6.15pm. We wish all our three teams lots of luck! Well done to our Under 7s and Under 8s who took part in mini rugby tournaments both before and at half time at the Rapid Solicitors Stadium on Friday evening at the action-packed match between Wakefield Trinity Wildcats and the Leeds Rhinos. Coach Emma King and helpers for both teams were on hand to assist the youngsters play in front of a huge crowd of over 10,000. The 2nd team's home match against Shaw Cross Sharks this Saturday (27th) is off. However, the 1st team will be travelling over the Pennines to Parson Meadows to visit Wigan St Judes, kick off 2.30pm. What a win for Rangers! In a major upset, Stanley Rangers beat Milford Marllins 22-16 on Saturday. At half time, Rangers were leading 16-10 but it was a try 10 minutes from the end by Joel Marsh with the conversion by Danny Grice, that saw the home side take the two. Rangers' points came from Mufaro Muvdudu, Sam Rothery and James Senkiw with a further two goals to Grice. This weekend, Rangers have a tough challenge when they travel to top-of-the-table Wigan St. Judes. Now's the time to take a look at the offers in the e-store in our Spend and Raise scheme and make the most of the discounts available. A small selection of the offers are on the Club store page but there are more to try so take a look and remember that every click gives the club a share too. Last Thursday so the derby match against neighbours Oulton Raiders and it was the visitors who took away the points winning 36-4. Joel Marsh scored for Stanley but Oulton built on their 16-0 half time advantage to seal the match. The team do not have a game this weekend. The Open Age A team are currently playing in Division Two of the Yorkshire Mens League and travelled to the coast last weekend to take on the Scarborough Pirates. The Pirates won 30-14. This weekend - the 6th July - the A team are at home to Heworth. In the Final of the Yorkshire Junior Challenge Cup the Under 16s just lost out to East Hull by the narrowest of margins, 24-22. Scorers for Stanley Rangers were Lee Alderson, Jonny Holmes, Max Jowett and David Dixon, with 2 conversions to Tom Megretton and 1 to Max Jowett. This has been a great achievement by the Under 16s this season - congratulations to the team, coaches and parents for all their hard work. The first team did not have a fixture at the weekend but the A team were in action in the Yorkshire Mens League and came away 32-30 winners in a close-fought encounter with Beeston Broncos. The 1st team will be taking on neighbours Oulton Raiders in a derby match to savour this Thursday - 27th June - kick off 7.30pm. Please come along and give the boys your support! Don't forget that our Under 16s team have reached the Final of the Yorkshire Youth Under 16s Challenge Cup and will face East Hull, playing for the Reg Rowbottom Memorial Trophy on Saturday 29th June. The game is the last final to be played that day at the Featherstone Rovers ground and the kick off is at 4.00pm. The Under 16s have been having a great season and reaching the final is a real achievement - well done to the team and we wish them luck on Saturday. Stanley Rangers player Billy Griffiths, who attends the University of Huddersfield, has been chosen in the Great Britain Student Pioneers squad that is currently touring Morocco. Billy, The Squad is assembled from players within Student Rugby League and travels to new up and coming countries to help in them develop, to help pioneer the way forward for them. The GB Pioneers aim to provide the Moroccan players with the basic knowledge and skills to introduce, develop and sustain Rugby League in Morocco. In a bottom-of-the-table tussle Stanley were beaten by Saddleworth Rangers, who bounced back from being 28-20 down with 15 minutes to go. Stanley's points came from brothers Chris and Danny Grice, Chris with a brace and Danny with a try and four goals, and single tries from Liam Crawley and Joel Marsh. This coming weekend - the 21st June - Stanley do not have a fixture. Don't forget that the Sportsmens Evening is being held at the clubhouse, 7.00pm for 7.30pm start. The compère/comedian is Peter Emmett and their will also be guests from the rugby league world. Tickets are £25.00 including buffet, so make sure you've got your tickets for a great night out! This weekend sees Fathers Day on Sunday 16th June and where better to buy your gifts than from our club e-store? There are fantastic offers from Thorntons; Iwantoneofthese.com; Mankind; Trendy Golf and Whittards and many more. All these offers run out at the weekend so take a look at what is on offer and remember that everything you purchase through our Spend and Raise estore gives funds for the club. Stanley Rangers, currently bottom of the table, pushed league leaders Wigan St Judes all the way and only lost out in the last few minutes 20-28. Tries from Danny Grice and Richard Cattley, along with two goals from Grice gave Rangers their points and the team put on an exciting match. This weekend the Open Age team are away at Saddleworth Rangers who are currently one position about Stanley. The A team are also away at Elland. The Open Age team has recently appointed a new coach - Craig Westmoreland - and now is a good time to introduce Craig and hear about his aims for the team. Craig was recently on the coaching staff of the Bradford Bulls Under 16s and Scholarship for over a year before deciding to leave to come to Stanley Rangers. Whilst at Bradford he coached the Yorkshire Student Rep team to the regional championship this year. Prior to this he was Head Coach of Bradford University Rugby League for 3 years obtaining 2 varsity wins , league runners-up,promotion and Coach of Year 2010. Craig is keen to be involved with Stanley Rangers who he sees as a massive club, with a proud tradition and unfortunately having a rough ride at the moment. As he says "my past coaching career has been based on taking a struggling team and turning it round. Coaching at Bradford Bulls was a good experience and I am still on the scholarship system, however I feel that with the support and belief of players and the club, I and Mick Loveday know we can climb up the table sooner, rather later. I am looking to implement a fresh approach to training and structure to the Open Age squad. In order for myself and Mick to do this we need to pull together and train as much as possible. If for some reason players are unable to play but would like to still be involved, please attend training and help build a positive culture within the club. Results don't just need to appear on the pitch, they need to shown off the pitch too". Thanks to Craig for taking the time to share his views and experience with us and we wish him luck in his new position at our club. Last month, Waterhead visited Stanley Rangers and just nipped the win by 2 points - 26-28 - and in the away fixture, it was once again a close win for Waterhead 26-22. Rangers fought hard to get the final try that would have levelled the game but it proved elusive. Tries for Rangers came from Danny Grice( 2), David Finley and Richard Cattley, with 3 goals for Grice. This coming weekend - the 8th June - Stanley Rangers entertain the league leaders Wigan St Judes. Kick off is at 2.30pm, whilst the 2nd team are also at home to Shaw Cross Sharks. Stanley Rangers Under 16s have reached the Final of the Yorkshire Youth Under 16s Challenge Cup and details of the match have now been issued. All the matches in the Yorkshire Youth/Junior Continuation and Challenge Cup Finals are to be played at the Featherstone Rovers ground. The Continuation Cup games will be held on Sunday 23rd June and the Challenge Cup games - which our Under 16s are involved in - will be played on Saturday 29th June. The first match for the Under 12s kicks off at 10.30 and the Under 16s will be the last match played that day and will kick off at 4.00pm. The Under 16s will face East Hull and play for the Reg Rowbottom Memorial Trophy. Please put this date in your diary as it will be an exciting day of games and of course go along to give our Under 16s your support for their match. Our junior teams are going well at this stage in the season and here is a round-up of their league positions. The Under 16s are 6th in the Premier Division and the Under 16s A team are 7th in Division One. The Under 15s are having a fine season and are top of their Division - Division One - after 8 games, having not lost a match so far. The Under 14s are 7th in Division One and the Under 13s are lying 6th in Division Two for their age group. Finally the Under 12s are having an excellent season so far and are top of Division Two having only lost 1 out of their 9 games. All our junior and youth teams are training and working hard with their coaches and on match days and should be congratulated on their efforts. As always though it is not just the boys and their coaches but the support staff for each team and last but not least the parents who put in so much time and effort to help our boys develop their rugby league skills. Well done everyone! A Sportsman's Evening will be held at the clubhouse on Friday 21st June, 7.00pm for 7.30pm start. The compere/comedian is Peter Emmett and their will also be guests from the rugby league world. Tickets are £25.00 including buffet. This promises to be an excellent evening of entertainment and food so make a date in your diary. Both our Open Age teams were in action last week but were unable to gain the two points. The first team were at home to second place East Leeds and were only 14-10 down at half time but the visitors pulled away in the second half and went away 36-10 winners. The A team were in the semi final of the Yorkshire Mens Forty-20 Cup against Hunslet Warriors A who are two divisions higher and in a tough game were beaten 46-0. This coming weekend the first team are away at Waterhead and the A team will be away at Holderness Vikings. The fixtures for the junior teams will resume after the Bank Holiday break. The Open Age A team have reached the semi finals of the Yorkshire Mens Cup in the Yorkshire League and will be at home this Wednesday 22rd against Hunslet Warriors A. The other semi final match sees Oulton Raiders A at home to York Acorn A. The kick off is at 7.30pm so please come along and give the team your support. The first team came close to a home win against Oldham-based Waterhead but in the end were just beaten by two points 26-28. Stanley's points came from tries by Paul Hughes, in his first game returning to the club, Gareth Rawlinson, two from Joel Marsh and one from Danny Grice who also kicked three goals. This coming Saturday - the 22nd - Rangers are away at East Leeds. Well done to the Under 16s who beat Shaw Cross Sharks Under 16s in the semi final of the Yorkshire Junior League Challenge Cup. In the other semi final, East Hull beat Milford Marlins 32-30. Both our Open Age teams had tough fixtures over the weekend and put up great efforts in their matches. 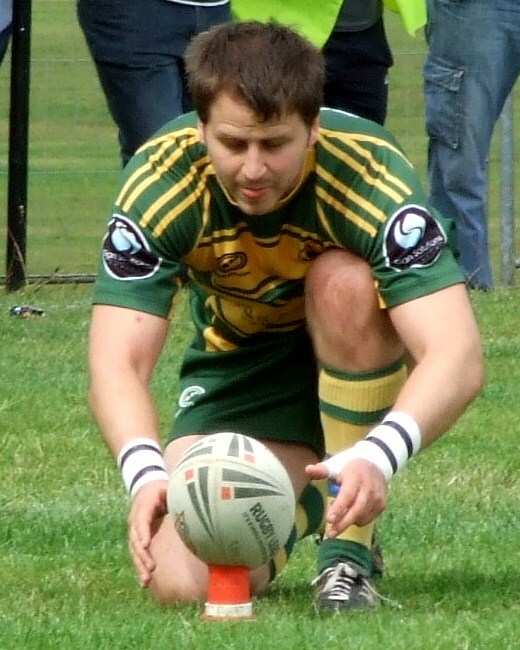 The 1st team faced Premier Division opponents Wigan St Patricks in the first round of the Conference Challenge Trophy. Although Rangers led 18-10 at the interval, in the end St Pats were too strong and finished 24-36. In the Yorkshire Mens League, the A team travelled to York to play York Locomotive in only their first match in Group Two having just been moved up. This game was played with great spirit and effort but it was the home side who won 26-8. This coming weekend, the 1st team will be welcoming Oldham-based Waterhead whilst the A team game against Scarborough Pirates A has been postponed. This week's offers in our e-store are all about enjoying the summer and taking a break. There are offers on McDonalds Hotels and the luxury Radisson Blu Edwardian in London which is ideally placed for theatre and city breaks. Looking ahead to the sumer, Butlins Holidays are offering amazing deals and offers. Take a look and remember that every time you shop you help the club. DO YOU KNOW THE HISTORY OF OUR CLUB? Stanley Rangers has a long and proud history in amateur rugby league from its beginnings in 1919 to the present day in the 1st Division of the National Conference League. Our History page contains team photos and describes the history of the club. If you have any old team photos please Stanley Rangers website the website and they can become part of our history page. It was a tough Saturday for our two Open Age teams who both suffered losses. The first team were beaten in a tough encounter by Milford Marlins, currently second in the table, 52-4 and the A team lost at Methley Royals 32-20. This coming weekend, 11th April, Rangers are involved in the first round of the Conference Challenge Trophy competition. They will be entertaining Wigan St. Patricks who are currently fifith in the Premier Division. Come along and support our lads on Saturday! Our other teams are all in action this coming weekend. On Saturday 11th April, the Open Age A team are away to York Locomotive in their first match in Group Two of the Yorkshire Mens League. The junior teams' fixtures on Saturday the 11th will include the Under 10s at home to Beeston Broncos; the Under 11s at home to New Earswick All Blacks; the Under 12s in a promising local derby away against Normanton Knights Under 12s and the Under 13s at home to Newsome Panthers. On Sunday the 12th, the Under 14s are away at Brighouse Rangers; the Under 15s will be at home to East Leeds and the Under 16s are away to local rivals Westgate Wolves. The Under 9s are at home in a local derby against Eastmoor Dragons; the Under 8s travel away to Kings Cross Park and the Under 7s will also be away at Newsome Panthers. Congratulations to the Under 16s who have reached the semi final of the Challenge Cup. They will be playing away to Shaw Cross Sharks Under 16's on the 19th May. The other semi final is Milford Marlins v East Hull. We wish them lots of luck! Rangers travelled to neighbours Oulton Raiders but in this local derby it was the home side, who were third in the table, who took the points with a 38-0 win. This weekend Rangers are away at Mlford Marlins. Suffer from hay fever? Need a new mattress? Fancy building your own robot? Take a look at this week's fantastic and unique deals in our e-store. Chemist Direct - 3 For 2 across the whole Benadryl range. With the sun finally out and the pollen count going up it looks like Hay Fever season is up on us! Chemist Direct have some fantastic offers, so stock up whilst you can. Donation ranges from 1.5% to 4% dependent on product. With no 1st team fixture the A team played against Methley Royals A. In a well-played game Rangers battled hard but it was the Royals who came out with the two points with a 48-30 win. This weekend - 28th April - Rangers 1st team will be away, playing in what promises to be an exciting match against neighbours Oulton Raiders. Go along to Oulton and support our lads! Meanwhile the A team had their fixture this weekend against East Leeds cancelled and have been given the two points. This means that the A team have reached the semi finals of the Yorkshire Mens Forty-20 cup and will play at home against Hunslet Warriors A team on Wednesday 22nd May. The final is scheduled for Wednesday 12 June, at a venue to be announced. Well done to the team! Rangers travelled up to Cumbria but did not not come away with the points, losing to Millom 32-20. Rangers tries came from James Sirkiw, Oliver Wood, Richard Cattley and Scott Childs, with Danny Grice adding two goals. There is no fixture for the coming weekend for the 1st team and the A team will be away at Methley. Our Under 9s took part in a pre-match curtain raiser at the Rapid Solicitors Stadium yesterday before the Wakefield Trinity Wildcats game against Warrington Wolves. They played against Crigglestone All Blacks and the Dearne Valley Bulldogs. At half time all the teams had a lap of honour around the pitch. Our e-store has some great bargains this month, with discounts from John Lewis, House of Fraser and Design 55. If you are looking for a spring break then Late Rooms.com have discounts of upto 75% and the offer expires on 3rd June 2013. This coming weekend - Saturday 13 - Sunday 14th April - sees the start of the junior Challenge Cup competition. On Saturday 13th April. Stanley Rangers Under 12s will travel to Kippax Welfare; the Under 13s are away at East Leeds. On Sunday 14th April, the Under 14s will be away to Hunslet Warriors; the Under 15s are at home to Oulton Raiders and both the Under 16s will be in the Heinz BIG Soup Under 16s Challenge Cup - the Under 16s at home to Lock Lane and the Under 16s A team will also be at home to West Hull. Good luck to all the teams! The first team travelled over the Penines to Rochdale Mayfield and although Stanley's Richard Cattley scored a hat trick it was not enough to stop Rochdale finishing 46-20 winners. Other points came from a Joel Marsh try and two Danny Grice goals. This weekend Rangers are again away at Millom with a 2.30pm kick off. Max Jowitt, from Stanley Rangers and currently on a scholarship with Wakefield Trinity Wildcats, scored twice in the England U16s game against France U16s 42-16 win and came away with Man of the Match award, presented by England coach Steve McNamara. This match was the second of a series against French Youth, the first match on Good Friday recording a win for the French lads 34-26. Stanley Rangers started off brightly in their home game against Dewsbury Celtic leading 8-6 with two tries from Joel Marsh nearing half time. However Dewsbury took a 12-8 lead at the interval and improved their lead in the second half to take the two points with a 42-8 win. This weekend Rangers travel to Rochdale Mayfield. The Open Age A team currently playing in the Yorkshire Men's League have been involved in the 40-20 Cup. The YML have moved the programme of pre-season cup games which had been postponed on Saturday 23rd March back a week. However, none of the scheduled fiixtures took place last weekend either. Teams are being given the chance to switch to agreed dates in April if unable to raise teams at short notice. Stanley Rangers Under 15s took on Blackbrook Royals U15s at Stanningley in the annual War of the Roses Challenge. In a tough game it was Blackbrook who finally took the game, winning 32-24. The Yorkshire Junior League is taking a break over the Easter holidays but our Under 15s are taking part in the annual War of the Roses Challenge at Stanningley on Sunday 31st March when they play against Blackbrook Royals Under 15s. This promises to be an exciting prospect as Stanley secured the Yorkshire Junior League's Challenge Cup and were Division One champions as under 14s. 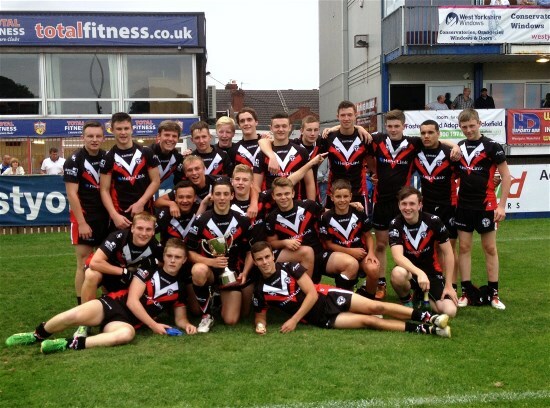 Blackbrook won the BARLA National Cup as under 14s and the North West League and Cup double. The fundraiser this year will be for Ryan Glynn of Shaw Cross who sustained a serious neck injury whilst playing for them. Why not take yourself to Stanningley on Easter Sunday and watch what promises to be a real competition between two top sides. The game kicks off at 1.15pm. Ex-Stanley Rangers player Max Jowitt, currently with Wakefield Trinity Wildcats, has been named in the England Youth Squad to take on a double French challenge in a two-match Easter series. The first match against the French youth team will be on Good Friday at the Provident Stadium, Bradford (2.30pm kick off) and the second game will be on Tuesday April 2nd at the Rapid Solicitors Stadium, Wakefield with a 2.30pm kick off. The Open Age team had a baking masterclass on Saturday 16th March and sold their fantastic cakes before their match against Eccles. Thanks to all involved and to the supporters whose generous donations enabled the team to share the final amount between Comic Relief and the fund for Ryan Glynn, the Shaw Cross player who suffered a severe spinal injury in a recent match. More details about Ryan's progress can be found on the Shaw Cross Sharks' club website and also on the BARLA website. The 1st team game away at Waterhead is postponed. Please note that due to the weather conditions, all junior games have been called off this weekend. The 2nd team home match against East Leeds on Saturday 23rd has also been postponed. As the decision on the 1st team game at Waterhead has not yet been made, please contact the club to check if the first team game is on. A penalty from Danny Grice eight minutes from time gave Stanley Rangers their first win of the season with an 18-17 win over Eccles. Joel Marsh, James Jenkiw and Liam Crawley scored tries with Grice adding two conversions. This coming weekend, Rangers Open Age will be away at Waterhead. The Open Age A team are having a good run in the Yorkshire Men's League Cup with a fine win over Beeston Broncos 36-6. This puts them in second place in the table. This coming weekend they are at home to East Leeds. There are lots of great offers in our e-store this week. If you haven't used the club shop before why not visit the webpage and take advantage of getting discount offers and helping raise funds for Stanley Rangers? For example you can shop at Play.com and not only will you enjoy fantastic low prices, with discounts from between 0.5% to 4% but also benefit from free delivery on everything. It's as simple as one click, so take a look. Stanley Rangers Open Age, in conjunction with The RFL, are throwing their weight behind this year's Red Nose Day to raise money for Comic Relief. The lads are heading into the kitchen and producing a baking masterclass, the result of which will be on sale at the rugby club on Saturday 16th March. Please come along and sample some of the delights on offer whilst raising money for a worthy cause. The first team will be playing at home against Eccles, kick off 2.30pm so enjoy the baking and support our lads' game. In their second matches of this season, the first team went down 24-10 away at Hunslet Warriors whilst the A team won at home to Methley Royal A 26-12. This weekend the first team are at home to Eccles and the A team are away to Beeston Broncos in the next round of the Yorkshire Men's Cup. The draw for the Challenge Cups and Continuation Cups were both made at Milford on the 5th March. The Challenge Cup is for teams in Division 1 and 2 and the Continuation Cup for all other teams in the League. Preliminary rounds are scheduled for 23-24 March and Round 1 matches 13-14 April. In the Challenge Cup Round 1, the Under 12s will play Kippax away; the Under 13s will be away at East Leeds; the Under 14s are also away to Hunslet Warriors; the Under 15s will be at home to Oulton Raiders; the Under 16s have a home game against Lock Lane and the Under 16s A will be at home to West Hull. Stanley Rangers travelled to Bradford to play against Dudley Hill in the first match of the new 2013 season and were narrowly beaten 26-22. Try scorers for Stanley were James Gollings, Craig Williamson (2) and Mufuro Mylududu, with Danny Grice landing three goals. This weekend - the 9th March - the first team travel to Hunslet Warriors. The Open Age A team had their opening game in the Yorkshire Men's League Cup. They played at home to Normanton Knights A who beat the hosts 42-26. In the next round of the Cup, the A team will be away at Methley Royals on Saturday 9th March (changed to a home fixture). The Under 16s had their first match in the Premier Division and were narrowly beaten by East Hull 28-24; the Under 16s A had a home win 28-22 against Castleford Panthers in Division One. 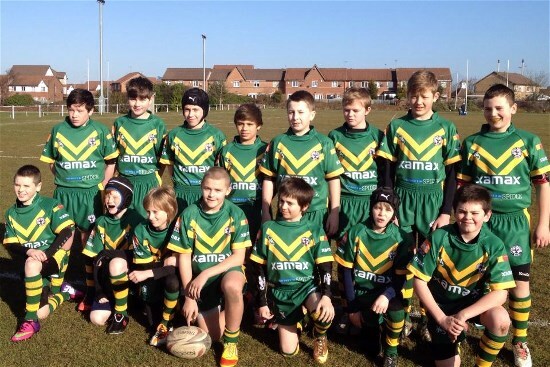 The Under 14s lost out at Oulton Invaders 6-18 and the Under 13s had a narrow defeat against Dewsbury Celtic 14-18 and the Under 12s travelled to Hunslet Warriors and were beaten 8-20. In the Xamax BARLA Youth and Junior National Cup competition, Stanley Rangers Under 16s have been drawn away to Stanningley Under 16s in the quarter final draw. The prestigious annual challenge between the Yorkshire Juniors and the North-West Counties League will take place at Stanningley on Easter Day, Sunday 31 March 2013. Stanley Rangers are the U15s representatives to face Blackbrook Royals in a 1.15pm kick-off. Blackbrook Royals come over the Pennines with a fine pedigree winning the NWC League, Cup and BARLA National Cup at U14s, Stanley also had a very successful 2012 season winning both the YJL Challenge Cup and Division 1 league title so this will be a great game of rugby league to end the competition. Crigglestone All Blacks will represent the YJ league at U13s winning the 1st Division and Challenge Cup at U12s in 2012 and will be taking on Wigan St Judes the NWC Lancashire Cup holders in a 12.00 noon kick-off. The War of the Roses is always an exciting event and some top quality rugby is guaranteed, so why not enjoy an exciting Easter Sunday afternoon and cheer on our lads. The 2013 season begins this weekend with all our teams in action. On Friday night, the 1st team travels to Bradford Dudley Hill for a 7,30pm kick off and on Saturday the A team have their first match of the season with a home fixture against Normanton Knights A team, kick off at 2.30pm in the Forty-20 Yorkshire Cup, Round 1. Meanwhile all the junior teams, from the Under 16s to the Under 7s, will be playing over the weekend. Saturday 23rd February sees the Stanley Rangers Origin game, kick off at 2pm. This is going to be followed by Race Night at the clubhouse at 7.30pm at the clubhouse. Everyone's welcome! This will be a great way to start the new season. Stanley Rangers Open Age begin their 2013 campaign with an away game at Bradford Dudley Hill on Friday March 1st, kick off at 7.30 pm. The A team have their first match of the season with a home fixture against Normanton Knights A team, kick off at 2.30pm in the Forty-20 Yorkshire Cup, -Round 1. Ten sides are set to kick-off the action in the Forty-20 Yorkshire Mens League when the pre-season cup competition gets underway on Saturday March 2. The sides will play four games in a league format with the top four then qualifying for the semi-finals which are scheduled to be played mid-week in late May. The final will then be played in June, again in a mid-week slot. The league programme is set to start on Saturday April 6. The National Conference League 2013 season begins in March and Chairman Trevor Hunt predicts another great season . This will be the second summer-based season for the NCL as membership has now risen to 50 clubs with nine new sides. Four divisions will now be operating and Mr. Hunt feels that attracting new members to the league can only be a positive step forward in the league. Congratulations to ex-Stanley Ranger's player Max Jowitt, currently with Wakefield Trinity Wildcats who has been named in the England Youth 31-man squad. In 2013 both the Academy and Youth squads will take on their French counterparts, with the Youth side also playing Wales.